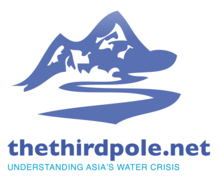 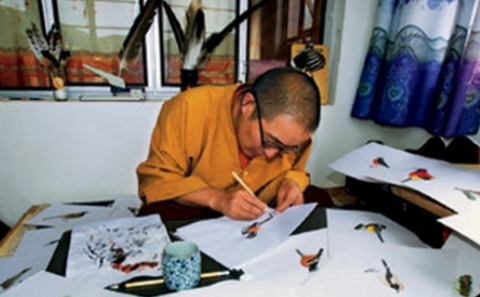 Tashi Sange is a Buddhist khenpo (scholar) at Baiyu Monastery in Golog, Qinghai, and the founder and head of the Nianbaoyuze Environmental Protection Society. 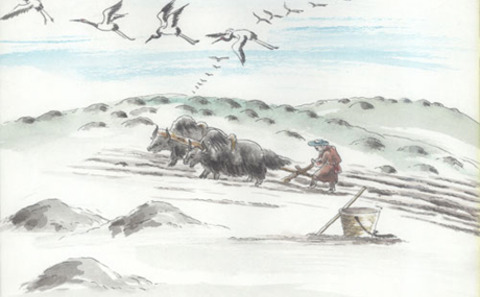 He has become a local legend in Qinghai for his efforts to protect – and to paint – the region’s birdlife. 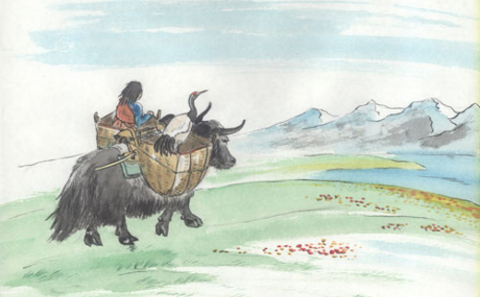 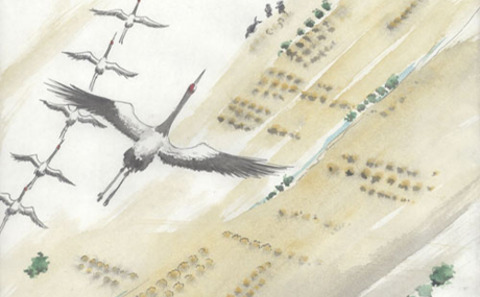 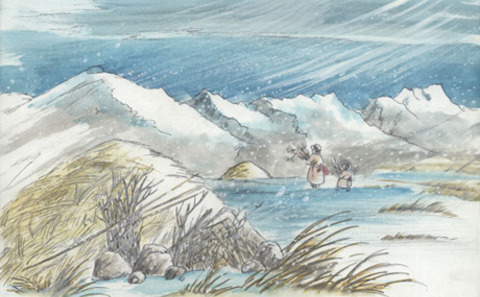 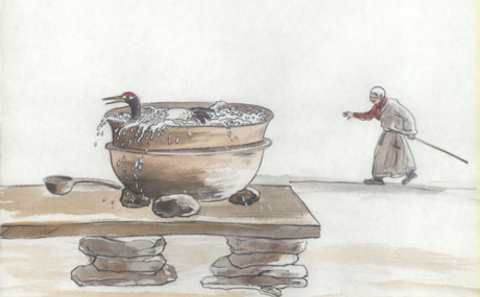 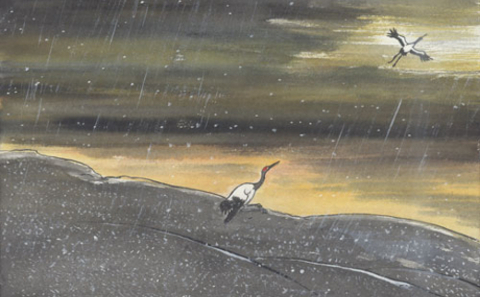 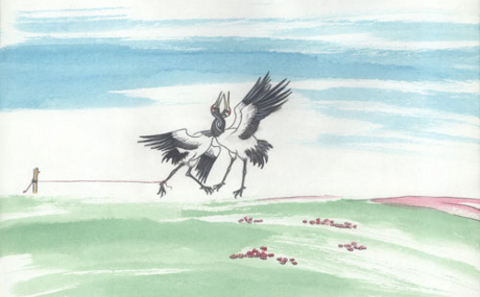 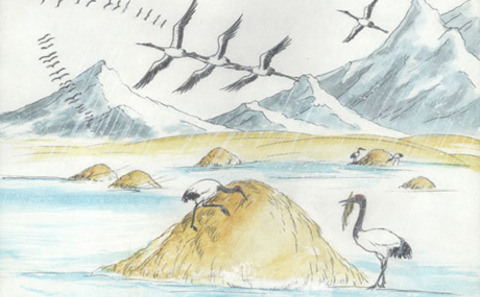 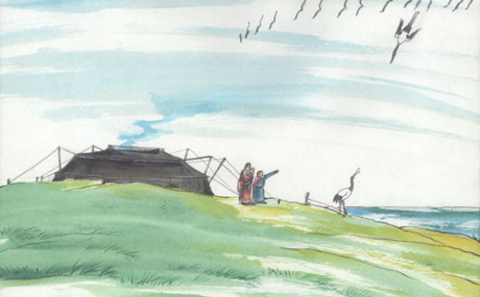 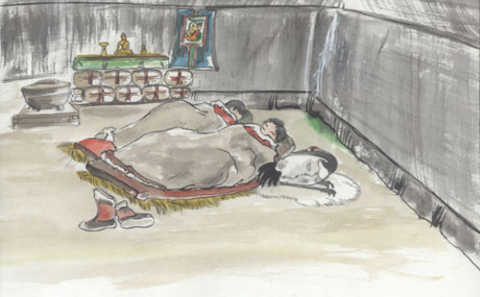 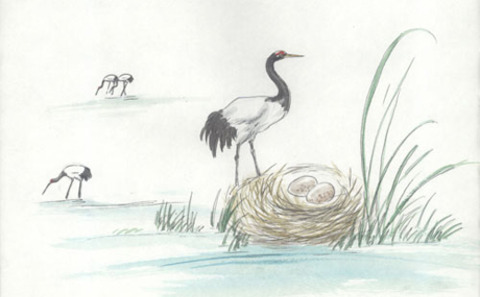 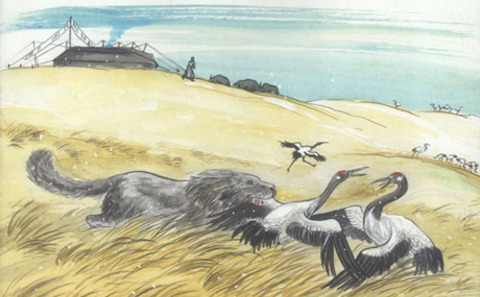 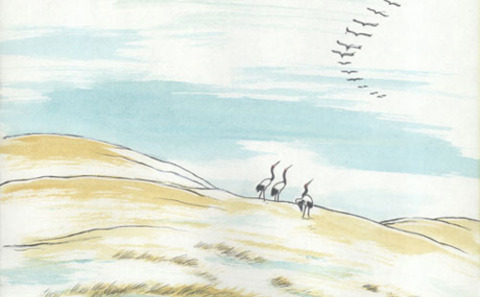 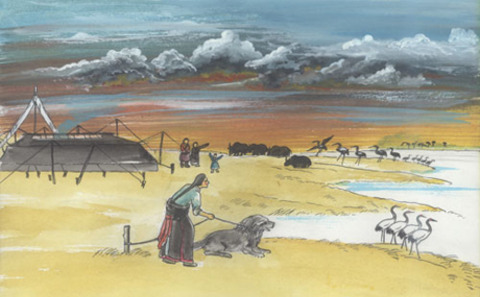 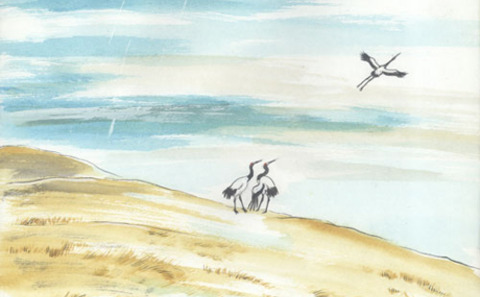 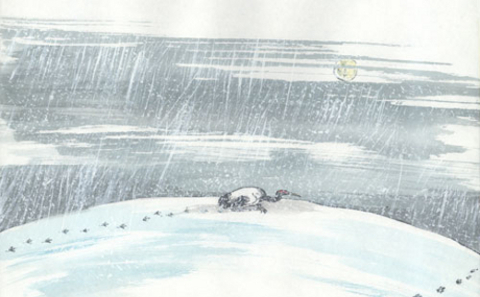 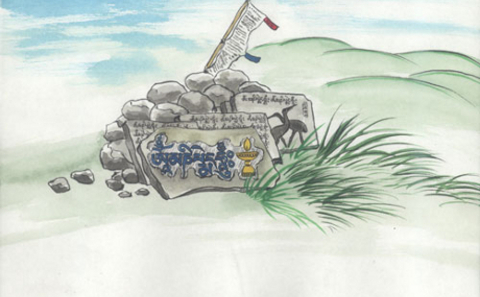 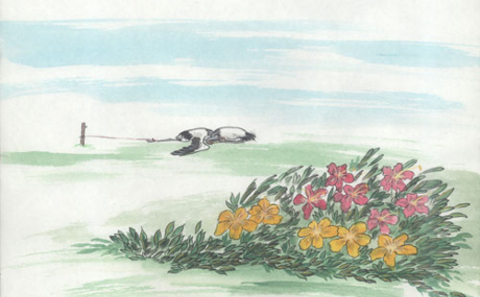 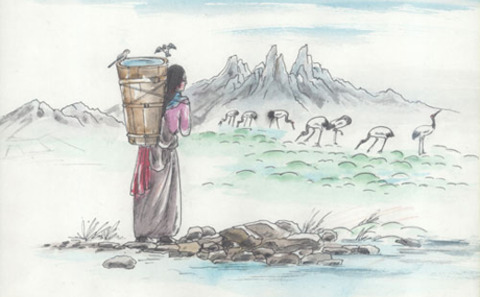 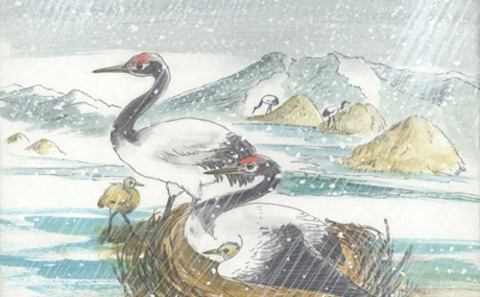 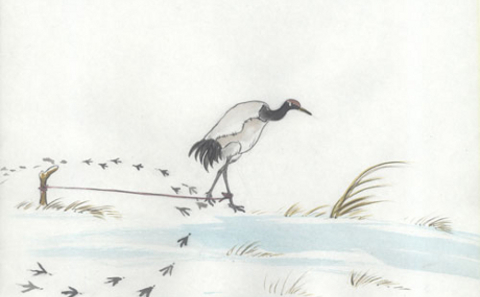 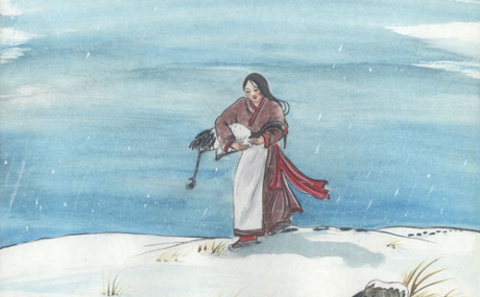 In this series of pictures, drawn especially for chinadialogue, he shares a folk tale about one of Tibet’s sacred birds, the black-necked crane.